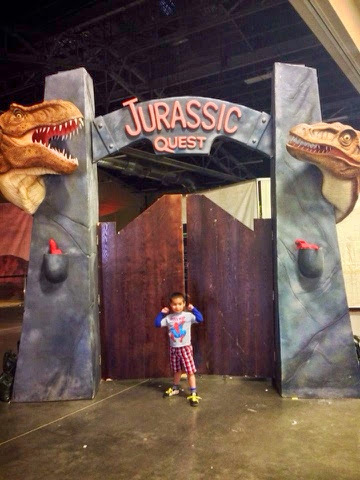 This past weekend we checked out Jurassic Quest with the boys. It was our family adventure for the week and in all honesty I think Trevor and I were more excited about seeing all the mechanical dinosaurs than Amari. 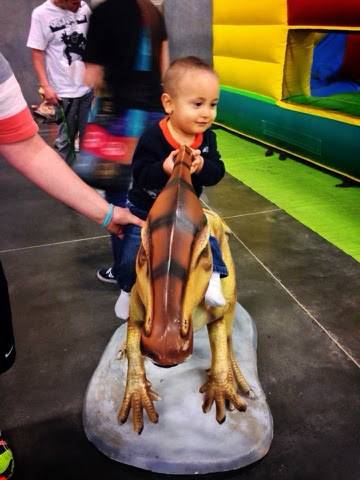 We ended up dropping sixty bucks to get in and that did not include older kid bounce houses, face painting, fossil digging, decorating a dinosaur egg, or riding a mechanical dinosaur. They wanted extra dinero for that. We were not too pleased with the false advertising on their end but we still had a grand ol' time. We just avoided paying extra cash to do non-academic things. 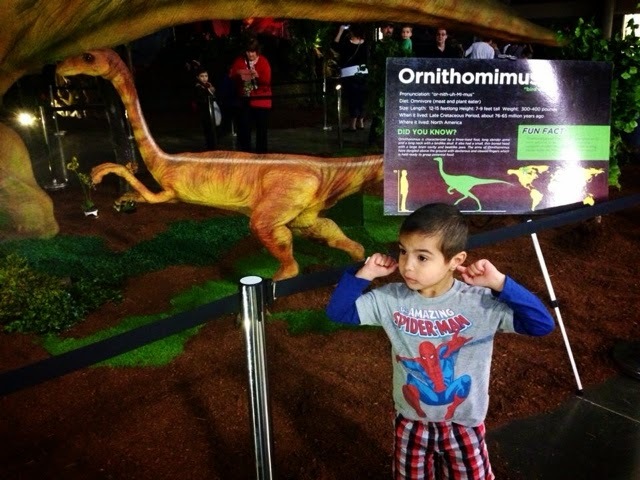 Amari was terrified of the life-size dinosaurs at first. He didn't fully understand that they were not "alive" and that the sounds were coming from a stereo system. It took him a while to understand that they were not going to eat him. 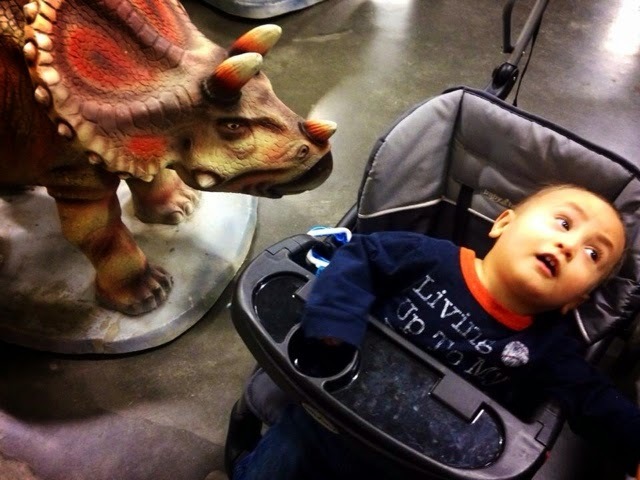 Talan was indifferent, like always; he did enjoy rawring like a dinosaur though. He even got to ride a little one. Both of my babies had a blast in their own little ways and I am happy to say that I am enjoying learning about dinosaurs these days. I have a feeling that Dino's will be taking our house over. 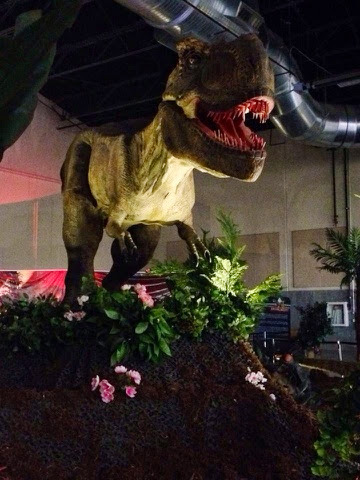 Move over superheroes, the Dino's are moving in!